On December 18, 2011 at the First Presbyterian Church in Merrillville, IN, Bruce Ordway originally of Crayne, KY, and Charlotte Dycus Ordway originally of Dycusburg, KY, renewed their vows in a 60th wedding anniversary ceremony along with 135 of their closest friends and family. The couple was married in a small Mississippi town where they ran off as young adults madly in love to elope on January 20, 1952. Charlotte Dycus Ordway is the only daughter of the late Mark and Geneva (Cooksey) Dycus of Dycusburg. Bruce Ordway is the youngest son of four children born to the late Robert and Imogene Ordway of Crayne, KY.
Charlotte, also known as “Candy,” was a Frances High School cheerleader who went on to attend college at Murray State. Bruce is a recent Frances High Basketball team Hall of Fame member who went to the Navy. The couple relocated to Northwest Indiana in the late 1950s where they worked and raised their family, daughter Renee Ordway Connelly of Merrillville, IN, and son Greg (wife Sharon) Ordway of Portage, IN. Both Charlotte and Bruce retired in the 1980s. Charlotte was employed by the telephone (merged multiple times and now AT&T). Bruce retired as a senior analyst from DuPont. The couple stayed in Merrillville until the millennium when they decided to split time between the Ordway farm in Crayne and their home in Daytona Beach Shores, FL. Mr. and Mrs. Ordway now reside full time in Florida. The couple says everyone in their old home town growing up said their marriage "wouldn’t last 6 months" ... and here they are today, happy and in good health, celebrating being together 60 years later. The couple is an inspiration to many, the rock of their family, and have affected so many people with their love and friendship over the years. Bruce and Charlotte thank God for being blessed with such a wonderful life, good health and a loving family (including many nieces, nephews, and cousins, five grandchildren, and three, soon to be four great grandchildren). Bruce is also thankful for the beautiful woman he married, who he looks forward to spending every day with for the rest of their lives. If you would like to get in touch with the couple, they are on Facebook under the name BruceandCharlotte Ordway, and their email address is bcordie2@yahoo.com. 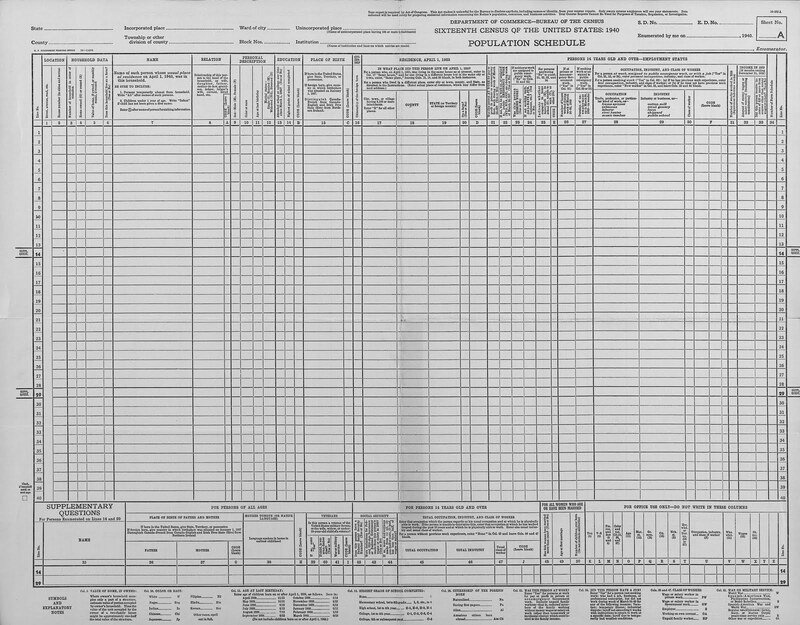 Following a 72-year wait period, The National Archives and Records will release the 1940 U.S. Census in April and make the search for information about ancestors easier than ever with free online access from any computer. Genealogists will have digital access to the 1940 Census when the report is released on April 2. This is a big step toward making the archives more accessible to the public through technology. 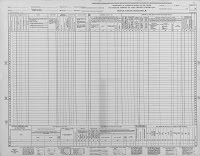 The most recent census — which covers the 1930s — is available through the libraries via microfilm that usually has to be reserved and ordered. However, as of now, the 1940 Census will not include a name index, so users will have to know the enumeration district in which the person they are searching for lived in 1940. The National Archives provides maps with the numbers on its website. 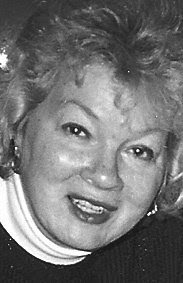 EDDYVILLE — Mrs. Ann Howard Stoehr, 70, of Eddyville, passed away Saturday, December 31, 2011, at her residence in Eddyville surrounded by family and friends. Mrs. Stoehr retired from ATO-FINA Chemical Plant in Calvert City as an engineering secretary with 20 years of service. She was a member of Eddyville United Methodist Church. She is survived by her husband of 15 years, Gene Stoehr Sr.; one son, Brad Hunt and his wife Elizabeth of Iuka; one daughter, Kristi Spedding and her husband Rob of Eddyville; and the delights of her life, her two grandchildren, granddaughter, Carlyann Spedding and grandson, Connor Spedding, both of Eddyville. Other survivors include a brother, John Howard and his wife Becky of Eddyville; a cousin, Ronnie Marshall and his wife Ruth of Marion, Ky.; and several stepchildren and stepgrandchildren. She was preceded in death by her parents, Carlon and Ruby Marshall Howard. Services are scheduled for 2 p.m. Tuesday, January 3, 2012, at Lakeland Funeral Home Chapel in Eddyville with the Rev. Jack Larwa officiating. Burial will be in Dycusburg Cemetery in Dycusburg, Ky.
Visitation will be 5-8 p.m. Monday, January 2, 2012 at Lakeland Funeral Home in Eddyvillle. Condolences may be sent to www.lakelandchapel.com.